Most people don’t think of contextual advertising programs such as Google AdSense as affiliate marketing but in reality that is exactly what it is. Contextual advertising programs allow you to place code on your website that displays their advertisements and they pay you a portion of the ad revenue which makes it a referral program and one of the simplest ones to implement. You can see an example of that to the right on this blog. There are many different companies out there that offer contextual ads. If you want to find them, just do a Google search for “contextual ad programs”. 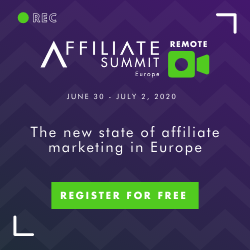 I am not a big proponent of them because more traditional affiliate programs have a much higher payout, but they do have their place and can help monetize a website in some cases where affiliate programs don’t do as well. One of my websites is monetized primarily by AdSense because I was looking for a way to increase the revenue where the affiliate income just wasn’t there (mostly due to the industry). It is an auto-pilot site meaning it is live, optimized, and has a steady flow of traffic and I do not spend any time at all on it. It generates between $125 and $150 per month which may not seem like a lot of money, but if you understand the “multiple streams of online income” concept, you will realize that having 10 of those is all of a sudden not a bad income stream to have; especially when you just have to pay the annual domain renewal and $10 per month to host unlimited websites. With a focused effort, you can actually generate a solid income solely based on Google AdSense. Some of those who have been at it for a long time bring in several hundred dollars per day using AdSense. Like everything else, the key is finding something to put your hands to and FOCUSING on it until it produces for you.I wanted to share about AdSense for a few reasons. First, if you want to get started making money with a website or blog, you can almost always count on getting “some revenue” from a contextual advertising program. Different industries will elicit different responses because sometimes people need to find a trustworthy site to answer their questions and may feel that AdSense cheapens the site. Also, don’t overdo it so people can barely read the pages without wading through a dozen ads – that is obnoxious. Secondly, even though the payout is less, you can always test it out on a site to see how it performs. So much of affiliate and online marketing is about testing to see what works for you and your audience. To get started with AdSense, all you need to do is register and wait for your confirmation and acceptance. It will take a few days to be accepted, but as long as you fill out the application completely you should be fine. Most of all, make sure you do not violate the terms of conditions or they will shut your account down. Common violations are clicking your own ads to generate money and asking others to do the same. Using AdSense can be a very profitable venture, especially if you have websites that are content rich and rank well in the search engines. Do you have an AdSense success story? If so, let me know and we might feature you on this blog. Did you find this helpful? Would you like to learn more about affiliate marketing and have a veteran affiliate marketing coach walk you through setting up your affiliate marketing business? If so, contact me for more info. Anthony Kirlew is a veteran of Internet and Affiliate Marketing. Since 1999, he has created winning affiliate relationships, trained countless affiliate marketers, written books, and built multiple digital marketing agencies. He has also served as the affiliate manager for a Top 5 Search Engine Marketing Agency and one of the leading Health Information Publishers. He is the Author of "Clickbank Profit Secrets", "What the Affiliate Gurus Don't Tell You", and "The Internet Marketing Guide for Small Business".